Botox Cosmetic is the first and only FDA-approved treatment to temporarily improve the appearance of moderate to severe lateral canthal lines AND glabellar lines in adults. It is a fast, simple, non-surgical treatment that can smooth mild to severe lines in the forehead and brow area. Botox injections reduce fine lines and wrinkles on the face by relaxing underlying facial muscles. Botox is the only treatment of its type approved by the Food and Drug Administration (FDA). In just one quick treatment, you can see noticeable improvements lasting up to six months. ​Botox injections prevent muscle movement by blocking signals from the nerves to the muscles. The injected muscle can no longer contract, which causes the wrinkles to relax and soften. Botox treats forehead lines, crow's feet (lines around the eye), and frown lines. Botox has also been recommended as a treatment for migraines, dystonia (muscle twitches), and even hyperhidrosis (excessive sweating). ​The lines between your brows are a result from muscle movement and the passage of time. When powerful muscles between the brows contract, they draw the brows together, causing the skin to fold or furrow. As skin becomes less elastic with age, those folds or furrows become stubborn lines. Because frown lines are dynamic lines caused by overactive muscles, they can usually be treated with tiny Botox Cosmetic injections. ​Static lines are lines that are visible even when the muscles are at rest. These can usually be treated with a filler, such as Juvederm. Botox has also been recommended as a treatment for migraines, dystonia (muscle twitches), and even hyperhidrosis (excessive sweating). How is Botox performed and what is the treatment like? Botox is injected with a fine needle into specific muscles with only minor discomfort. There is absolutely no down time necessary nor is anesthesia needed for Botox. Your doctor will determine where exactly to administer the injections. A cold pack or anesthetic cream may be applied in order to numb the area before injection. Localized pain, infection, inflammation, tenderness, swelling, redness, and/or bleeding/bruising may be associated with the injection. The entire procedure takes approximately 10 minutes. Many people return directly to work or normal activity following Botox treatment. Improvements from Botox treatments are normally seen within a few days and continue to improve up to a month. Results will last up to four to six months. Touch up treatments will be needed as lines and wrinkles will gradually re-appear. What is the difference between Botox Cosmetic and fillers? 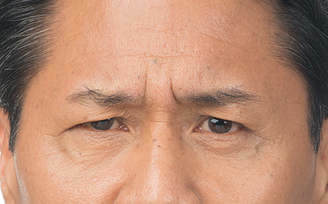 Frown lines are caused by overactive facial muscles. Fillers mask the wrinkle by adding volume around the muscle with intradermal injections. Botox Cosmetic is intramuscular, blocking the chemicals that cause facial muscles to contract, thereby relaxing them. While there are many options available for fillers, Botox Cosmetic is the only product of its type that affects the muscles that cause these wrinkles. What are the most common side effects of Botox? Temporary bruising is the most common side effect of Botox injections. Other common side effects can include headache, respiratory infection, flu syndrome, temporary eyelid droop, and nausea. Is Botox safe for everyone? Patients who are pregnant, breastfeeding or have a neurological disease should not receive Botox treatments. Botox should also not be used in the presence of a infection and in individuals with known hypersensitivity to any ingredient in the formulation. Patients with neurological disorders such as ALS, Myasthenia Gravis or Lambert-Eaton syndrome may be at increased risk of serious side effects. Who is being treated with Botox Cosmetic? Both men and women of varying ethnicities have been treated with Botox Cosmetic. Because it works only on the underlying muscles, it is not expected to affect skin color. According to the 2006 American Sociaety for Aesthetic Plastic Surgery (ASAPS) statistics report, Botox Cosmetic was the most popular physician-administered cosmetic procedure in the United States for the fifth year in a row (surgical and nonsurgical combined) with nearly 3.2 million treatments in 2006. 22% of all physician-administered cosmetic procedures were to racial and ethnic minorities. Men accounted for nearly 1 million physician-administered cosmetic procedures. Patients ages 19 to 34 accounted for 22% of all physician-administered cosmetic procedures. Botox Cosmetic was recently the most popular physician-administered cosmetic procedure in the United States for the fifth year in a row. A 2005 survey done by the Aesthetic Surgery Education & Research Foundation reported that 97% of patients were satisfied with the results of their Botox Cosmetic treatment. 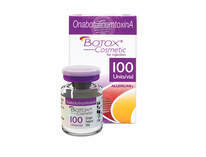 Botox is offered at a competitive price! ​​Bella Fina is now apart of the Brilliant Distinctions Program by Allergan! If you register you could earn FREE Botox! ​Call (908) 755-8400 to schedule an appointment! ​Click HERE to learn how you can save $100 OFF your treatment! Sign up for our newsletter to learn how you can save money with our exciting promotions! Don't worry, your email address is safe. We do not sell lists. Don't worry, we will only use your phone number to confirm appointments.